Quality score is a variable used by Google, Yahoo!, and Bing that can influence both the rank and cost per click (CPC) of ads. To determine the order in which ads are listed, each ad has the following formula run against it: bid *Quality Score. For email marketing we kept the name and adapted it to measure engagement quality. Though, it does not influence directly inbox placement. More on this in the last paragraph. How to use a quality score in email marketing? You can use Unique clicks or Responders depending on your ESP’s metrics. Campaign A quality score is 90% while campaign B is 10%. 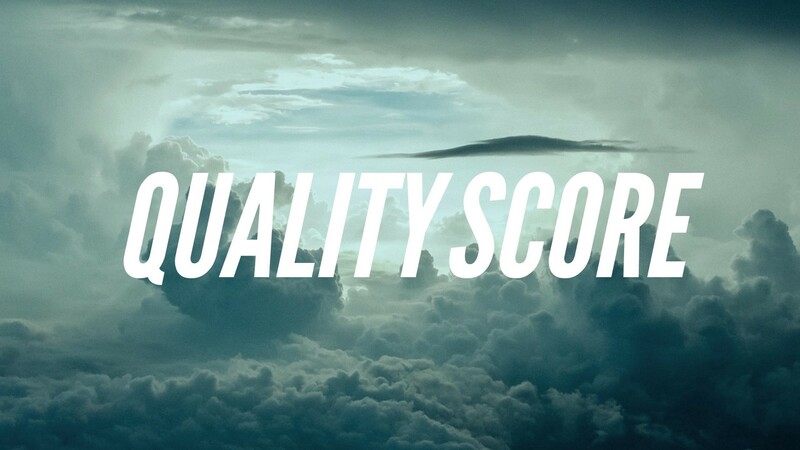 What should be your quality score goal? Frequency: do you send an email every day or just once a month? Audience: is your audience engaged or more likely to archive directly? Content: are you sending surveys, newsletters, triggered emails only? The more emails you send, the harder it will be to get a good quality score. We don’t have a benchmark for each industry but hopefully after reading this article you’ll use it and share yours. So we can create a quality score benchmark per industry like Mailchimp does for other metrics. There is a lot of ways to improve your quality score in an email. As we’ve seen above it’s depending on a lot of factors. Timing: is your email triggered at a specific time or sent randomly? The first one has more chances to resonate with your users and in fine increase your quality score. Content: email blast (no!) or personalized content? The second one for sure will impact your quality score. Make sure to be relevant to each individual user by acknowledging their preferences and demonstrated intents. CTA: do you have a clear call to action in your email? Making it clear for your users where they have to click will increase your click rate and so will your quality score. If, despite you optimizing an email, the quality score is stagnating pretty low, you should question yourself why you are sending this email at all? What about the other email metrics? Quality score is a good indicator on engagement quality and should be combined with other email metrics like opens, clicks or unsubscribes. But before working on the quality score you should make sure to optimize your open rate. As you won’t have much impact on it if your users are not opening your emails. Also note that this quality score is different from the Sender Score used by Return Path or the Message Quality Score used by Campaigners. These 2 focus on giving you information about deliverability and inbox placement. Though, quality score might indirectly affect deliverability and inbox placement as it is giving you precious engagement information.